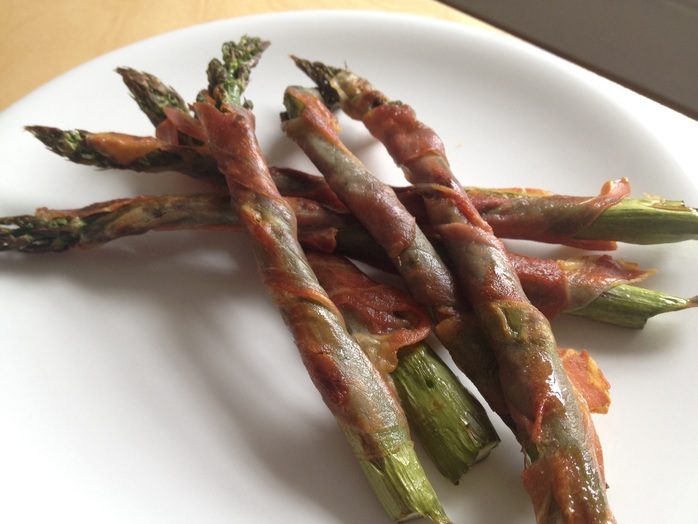 I absolutely love asparagus, and the fresher the better. It's great simply steamed with a balsamic vinaigrette, or can make a delicious appetizer when wrapped with prosciutto and roasted in the oven. Preheat oven to 210°C, fan forced. Rinse asparagus to ensure there is no grit in the head. Slice the prosciutto in half, lengthways. 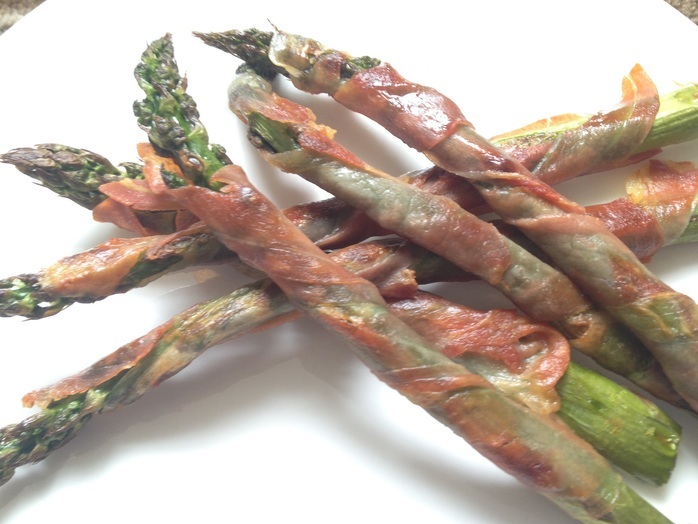 Wrap a piece of prosciutto around an asparagus spear, spiralling upwards, a little like the winding strip on a barber's pole. Place on a baking tray and roast in the oven for 10 minutes, turning halfway through. 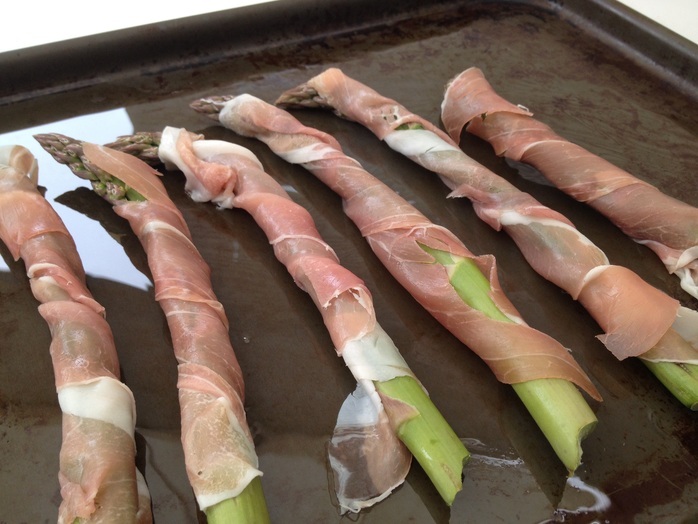 The asparagus will be juicy and perfectly balanced with the crisp saltiness of the procuitto.